Located in the island of Mindanao, the city of Davao is the 3rd largest city in the Philippines after Manila and Cebu, and is famous for its bountiful harvests of fruits and vegetables, friendly and courteous people and a laid-back, relatively crime-free atmosphere. The good thing is that despite the hustle and bustle of the city, the best beaches are just a few minutes, or just an hour away, most of which are located in nearby Samal Island. 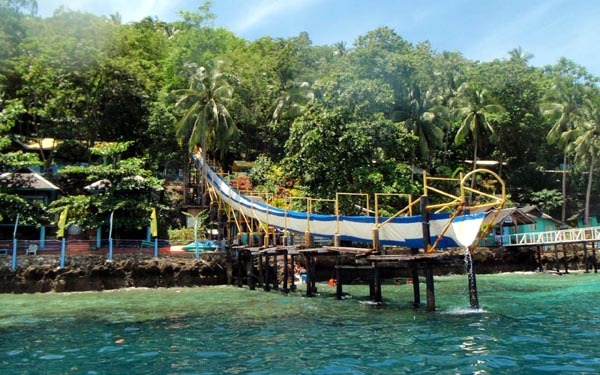 Here’s a peek at a few of the most popular beach destinations in the city of Davao. 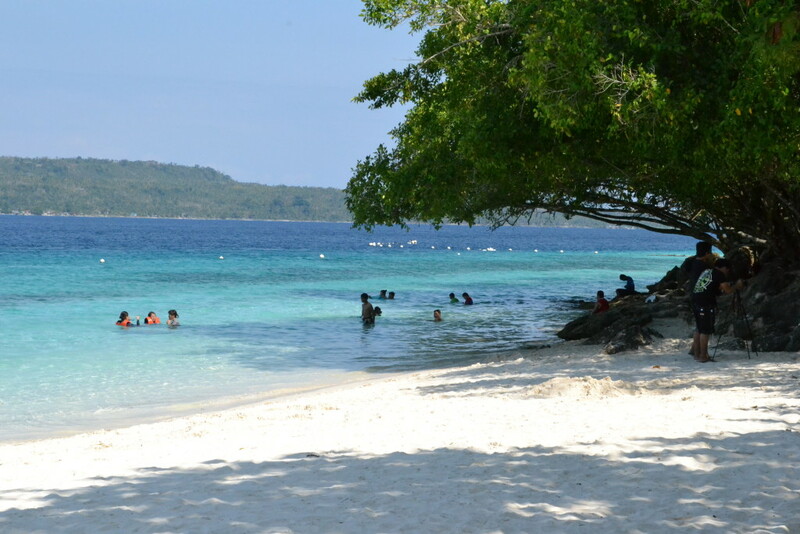 Located on Talicud Island, in the Island Garden City of Samal (or IGACOS), Isla Reta is a quite affordable beach haunt which offers a stretch of white sand beaches and crystal blue waters. It’s the perfect place to relax and unwind, especially on weekdays. And since the Internet signal is quite poor here, you will have more time to relax and enjoy the simple pleasures of going to the best Davao resorts! Paradise Beach Resort is perhaps the most accessible resort in Samal Island when coming from the city because it’s only 15 minutes away on a boat from the nearest docking point. The resort has also been a favorite family weekend getaway among local residents, and among visitors from nearby provinces and regions. A day tour at this resort could cost you P200, while the overnight rates go from P300 onwards. Contrary to most resorts in Samal Island, Maxima Aquafun doesn’t have long stretches of white sand beach. However, it makes up for the lack of white sand beachfront with other fun and interesting amenities a giant water slide and a water blob, along with floating cottages. The day tour rate here is around P300. Pearl farm is perhaps the first mid to high-end resort that opened in Samal Island somewhere in the 90s. It’s located on a woody 14-hectare property, and the resort boasts of chic accommodations, a bar and infinity pool, and a stretch of white sand beach. The resort’s day tour rate is around P1,660 on weekdays and P2,500 on weekends. Overnight stays cost around P7,000 per room during off-peak seasons. To learn more about these, and the other best Davao resorts, log on to www.philippinebeachholidays.com now! South Cotabato is one of the places in Mindanao that both local and foreign tourists return to every year, despite the security threats that have clouded over the island in the past few years. Like other regions in Mindanao, South Cotabato capitalizes on its rich and beautiful nature. Its fertile soil has paved the way for migration and agricultural industries as well. Dubbed the “Land of the Dreamweavers”, South Cotabato is home to the T’Boli tribe, known for their art of weaving that bases its patterns on their dreams. With lakes, waterfalls, vast plantations and well-preserved traditions, South Cotabato opens the doors to the picturesque southern region of Mindanao. That said, here are a few South Cotabato tourist spots and activities you can enjoy. Lake Sebu is one of the top tourist attractions in South Cotabato, and the town where it’s located is named after it. One of the town’s three lakes, Lake Sebu is more than just a tourist destination; in fact, it’s a major watershed in South Cotabato. It’s also paved the way for a progressive agricultural scene and is an economic ace in the region. There are several restaurants located around the lake where tourists can enjoy local dishes, especially those made with tilapia. You can also enjoy a calm and relaxing boat ride to see the fish pens as well as the verdant forests of Lake Sebu. If you’re a peace-loving traveler, you can opt to spend a night or two at any of the affordable accommodations nearby. With its lush forests and largely unspoiled beauty, South Cotabato is one of the best places to enjoy some well-deserved solitude. If you want to completely detach from the hustle and bustle of city life, then take a trek to Lake Holon. People who have visited the place before claim that this lake is not just one of the cleanest, but it’s also one of the most beautiful. The lake is the crater of Mt. Parker, formed during its eruption centuries ago. Considered sacred among those of the T’Boli tribe, the trek to the lake takes about 5 hours, and there are two trails. When you reach the end and catch a glimpse of this 300-hectare (742-acre) lake with deep blue waters, you’ll feel it’s well worth all the trouble it took to reach. Some of the activities you can enjoy here include swimming, kayaking and camping. Mindanao is home to different fruit plantations, and the pineapple plantation in Polomolok City is one such example that’s also a must-see stop. Covering more than 180,000 hectares, it’s a recognizable area as you pass by, with the imposing Mt. Matutum as its background. Managed by DOLE Philippines, the plantation is one of the largest in the world. A tour of this place will have you walking along the vast fields filled with pointed leaves and golden fruit. You’ll also learn more about how these pineapples are cultivated and harvested. Aside from trying out some of the resorts in South Cotabato, you can also see the above destinations along the way. If you’re including all of these in your itinerary, make sure to plan your trip well so you can enjoy yourself without worrying about the next leg of the trip.